A friend in Saint Gemma named Daniel kindly sent me a few photos of two life sized statues of St Gemma and Saint Padre Pio of Pietrelcina that are located in St. Francis Borgia Catholic Church in Chicago, Illinois (8033 West Addison St, Chicago, IL). It is wonderful to see these two great mystics and stigmatics together immortalised in these lifelike statues. 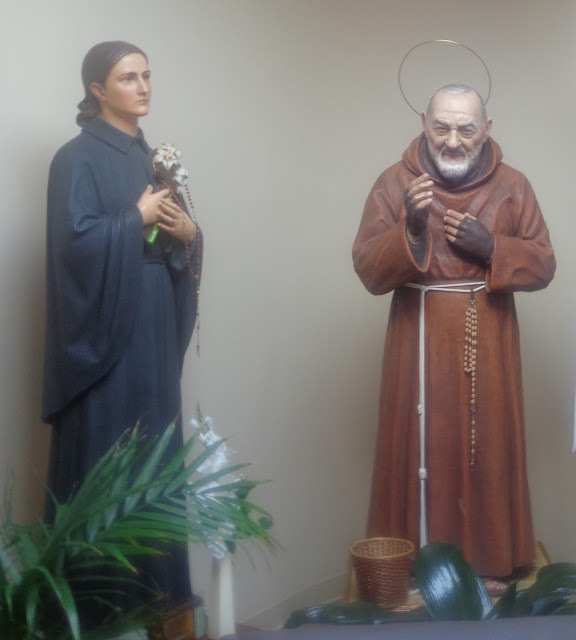 Incidentally, many people who are devoted to Gemma are also devoted to St Pio and those who are familiar with this website perhaps remember a two-part article published here concerning St Padre Pio's devotion to St Gemma. 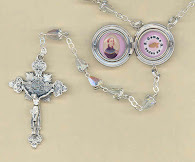 I came to know about our dear St. Gemma through Padre Pio. One day a seminarian, who knew about my devotion to Padre Pio, asked me if I had ever heard about St. Gemma, whom he informed me also had the stigmata like Padre Pio. Of course, this piqued (sp?) 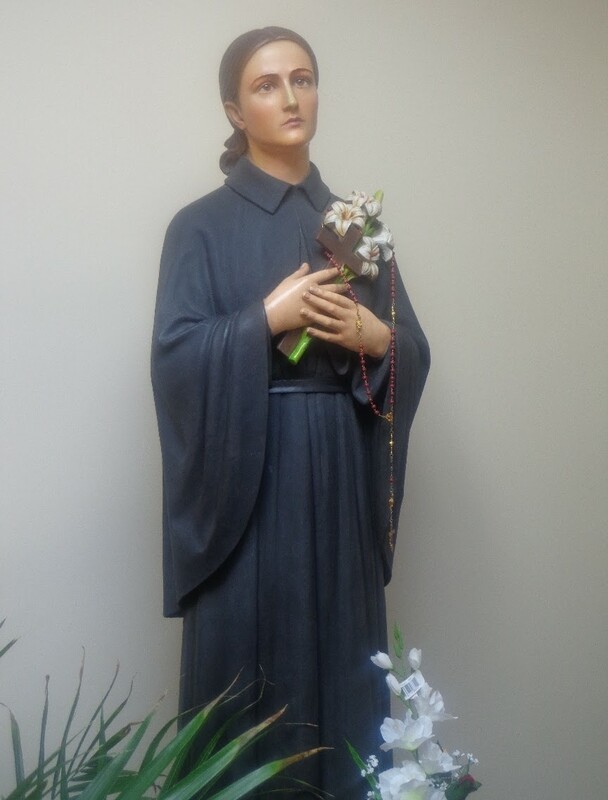 my interest and caused me to want to find out more about this "unknown" saint who had the stigmata like Padre Pio. I found out as much as I could because there were not many resources about St. Gemma. Keep in mind that this was "Pre-Internet" LOL! 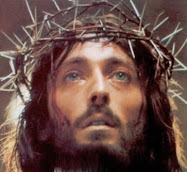 Thus, I credit Padre Pio for assisting me in finding about out about our dear St. Gemma! Triumph in Chicago? although we live in the UK we are visiting Chicago on Wednesday for a two week road trip and would love to visit this Church. Is it easy to find and will it be open during the day? we are spending three nights in Chicago. thank you for this lovely website. 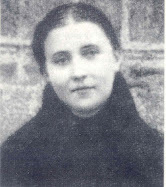 I had never heard of St Gemma before and would now like eto learn more. I am sure this piece of writing has touched all the internet users, its really really fastidious post on building up new blog.